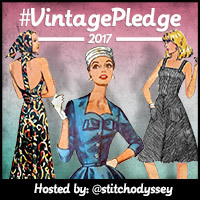 We sew because we like flexing our creativity and expressing our unique personality, right? 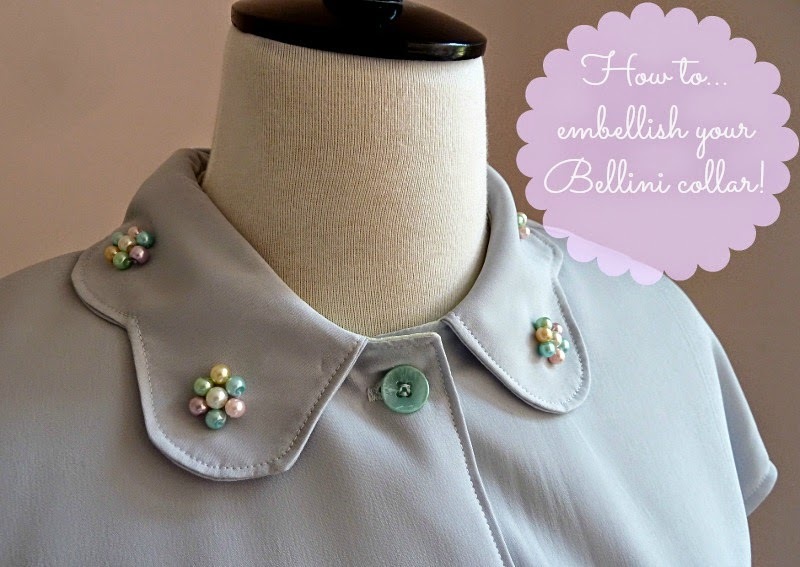 Embellishment can be a great way of achieving this, so I'm going to show you how to sew beads onto fabric, just like I did for my Bellini blouse's collar. I know I promised this post a few days ago, but I hope you agree that Simplicity's Jiffy 1356 giveaway was a good enough reason to postpone! 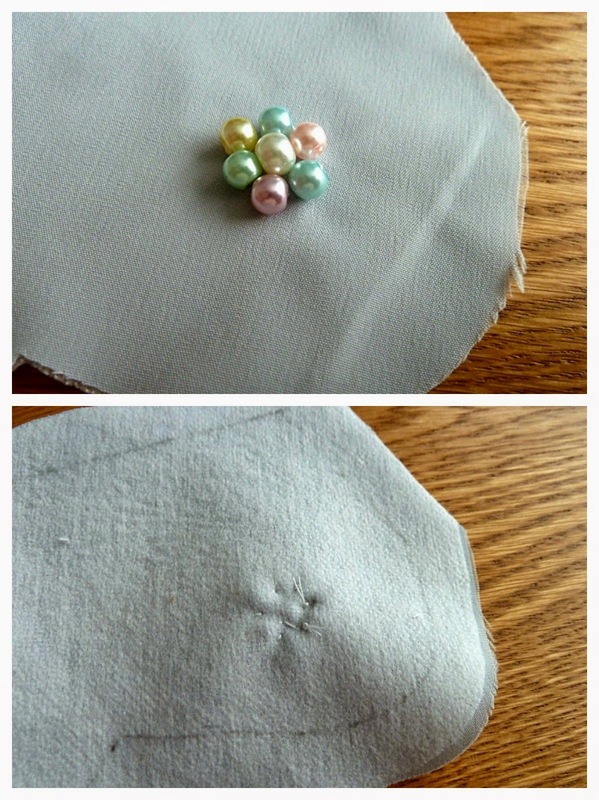 Press your collar piece well and apply interfacing to give it enough stability to support the weight of the beads. Make sure you also mark out your seam allowances / stitching line to help you with the placement of your beads - you don't want them getting in the way when you're constructing your collar. Although not shown in my pictures, I highly recommend stay-stitching the curved neckline edges to avoid misshaping. 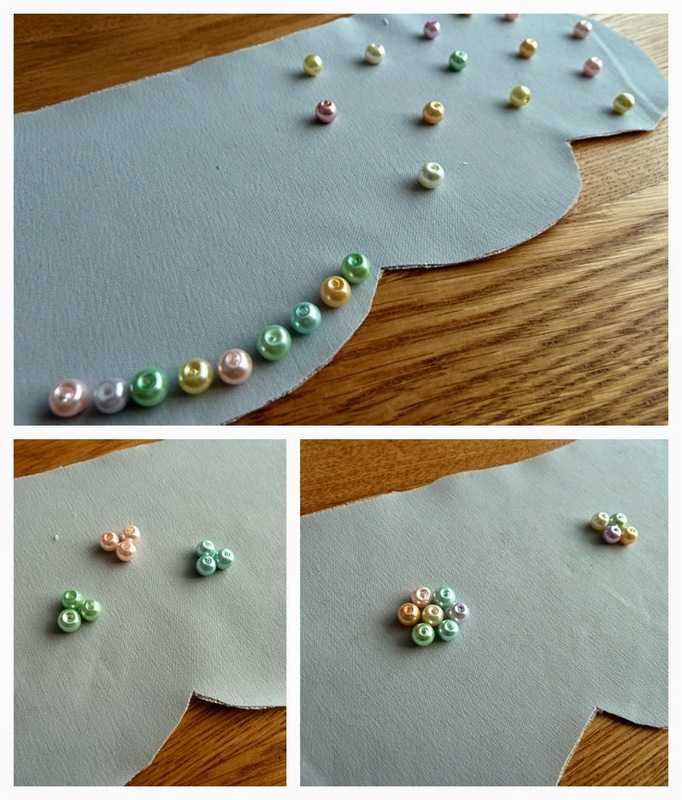 Now's the fun part - have a go at experimenting with the placement of your beads before committing to a design! I tried out different formations and borders and even toyed with the idea of creating a polka-dot effect. In the end I settled for a flower-head design on each scallop. Once you decide how you want to show off your beads, a little measuring is required to put your vision into practice. 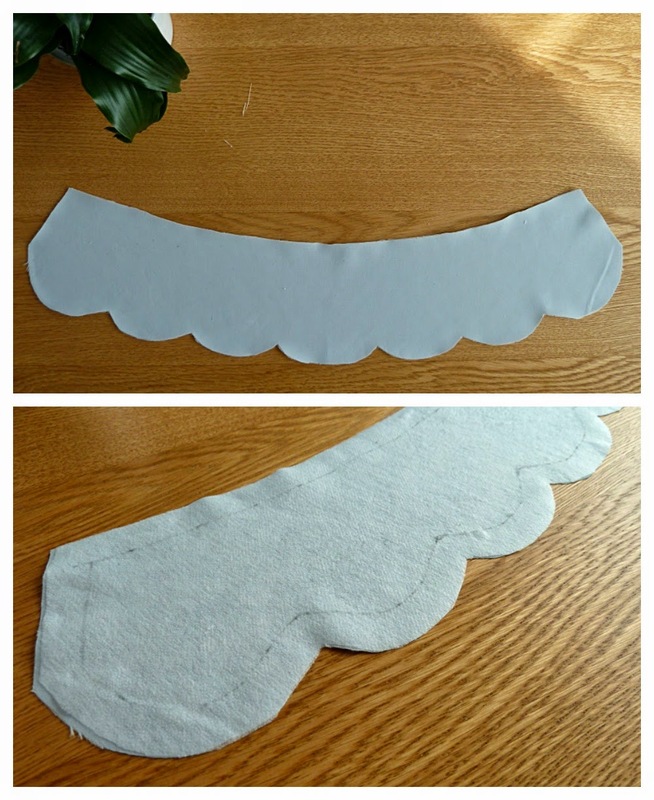 First I measured the length and width of my flower-head, then I measured the width of each scallop to make sure my design was centred. I also made sure my flower-head would finish at least 1cm from the seam allowance / stitching line I then marked the centre of my flower-head with a little 'x' on the back of my fabric. With all the prep out of the way, you can finally start sewing your beads - just double up your thread and you're ready to go! 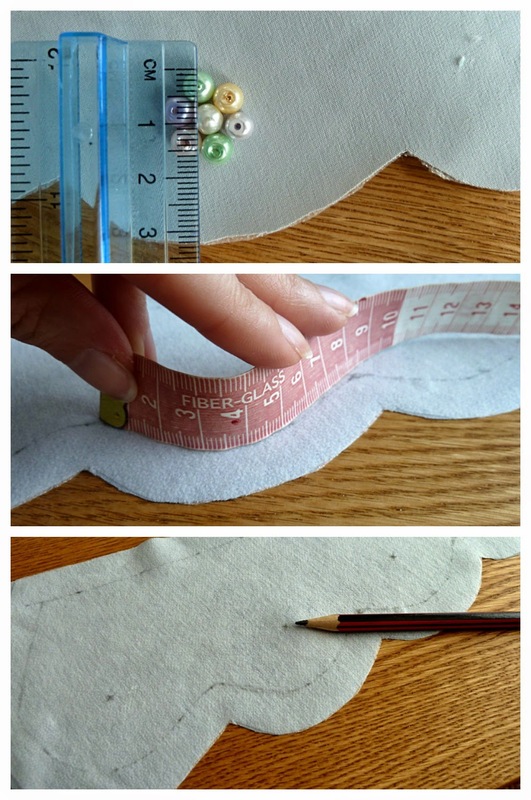 Start by finding your mark on the back of your fabric and passing your needle through. 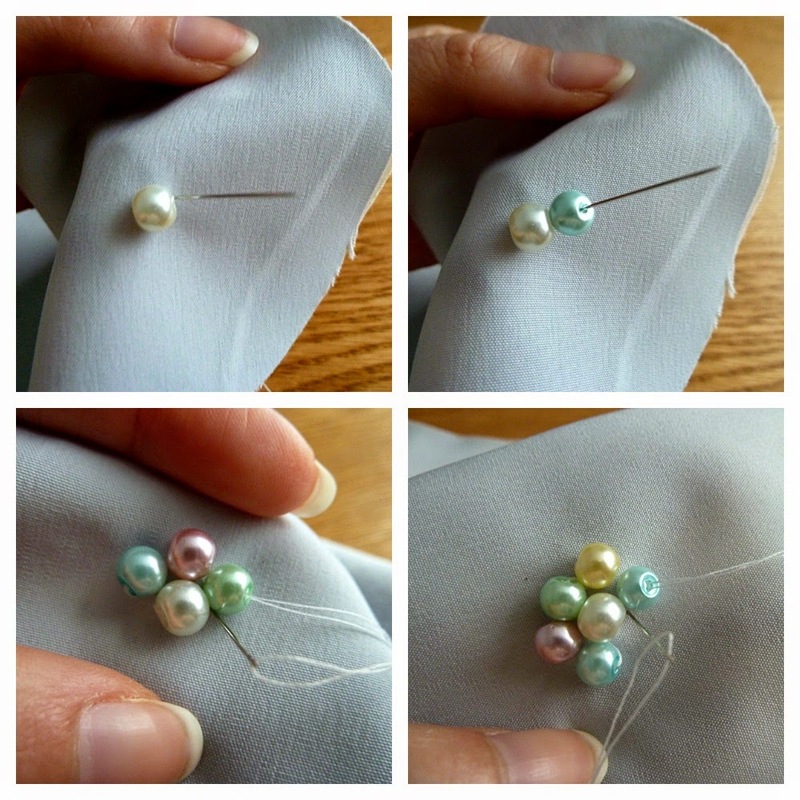 Once on the right side of your fabric, thread a bead through your needle and down your thread. Then insert your needle close to your initial entry point and pull out to the back of the fabric again. Inserting the needle close to the initial entry point ensures the bead is tightly secured and will help keep the shape of your design. 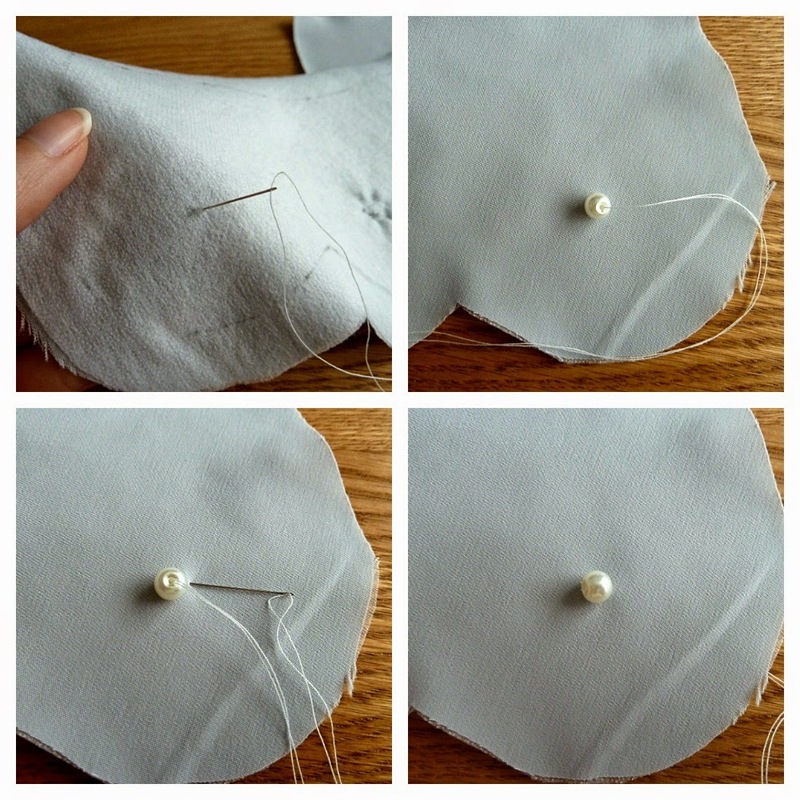 The pics above just highlight the movement you want to be making with your needle, to tightly secure your beads. Don't pull your thread too tightly though as you may end up with unwanted puckers on your collar. STEP 5 - Admire your handiwork! Wahoo, you've created something unique and beautiful! And your inner geek will be happy too, safe in the knowledge that the ugly threads will be hidden by the time you finish constructing your collar. 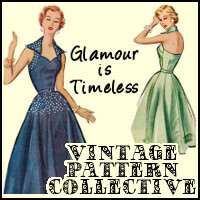 Now that you know how, are you tempted to embellish anything soon? Ah yes, I definitely am :-) My little girl will thank you for the inspiration, she loves anything with beads on it! Hehe, so pleased to hear it! That collar is so pretty. I haven't embellished anything for years - I think sewing 4500 pearls on my sisters wedding dress put me off! 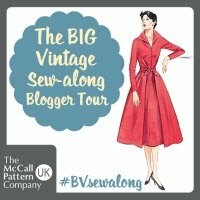 Did you find it hard to sew the collar pieces together once the beads were in place? Like when attaching buttons, I like to take, what I call, a small anchoring stitch before placing the first bead or button. 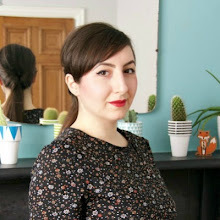 Lovely blouse - very inspiring. I must do this soon. Oooh, thanks for this tip!!! I love the unique, lovely look the embellishment gives. Really adds to the one of a kind aspect of dressmaking! 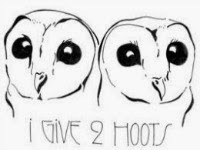 This is just too precious. Thank you for sharing this I will be glad to try this technique. absolutely love this! Looking forward to giving this tutorial a go!